Who Has Easter Dinner At The Park? We Do! 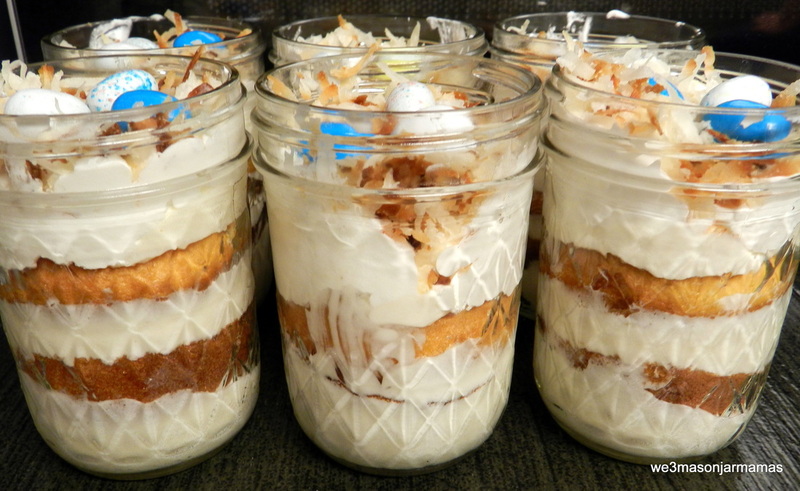 Happy Saturday Mason Jar Family! Last year I wanted to do something different. Something we never done before as far as where to eat for Easter Sunday. Normally it is a tradition to eat at my house.Well last year I wanted to be a rebel and break tradition..So I decided we were going to eat at the park. I would pack up all the food, drinks, desserts and dinner there it would be. 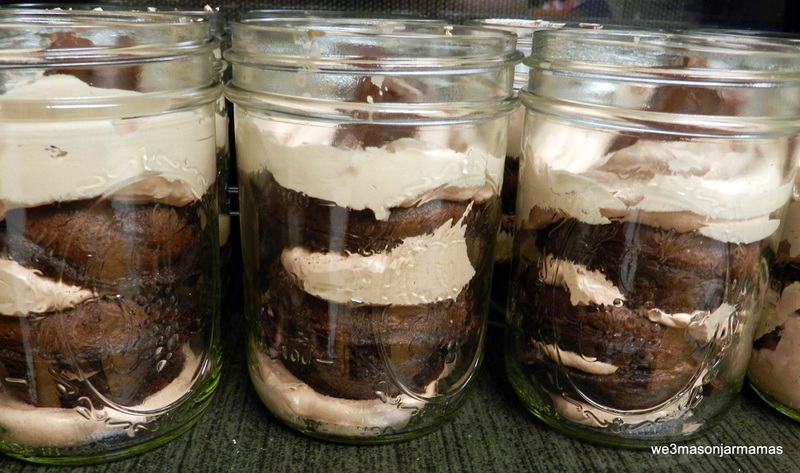 The first one is Chocolate Overload in a jar. It is 2 chocolate cupcakes split into 3 pieces. 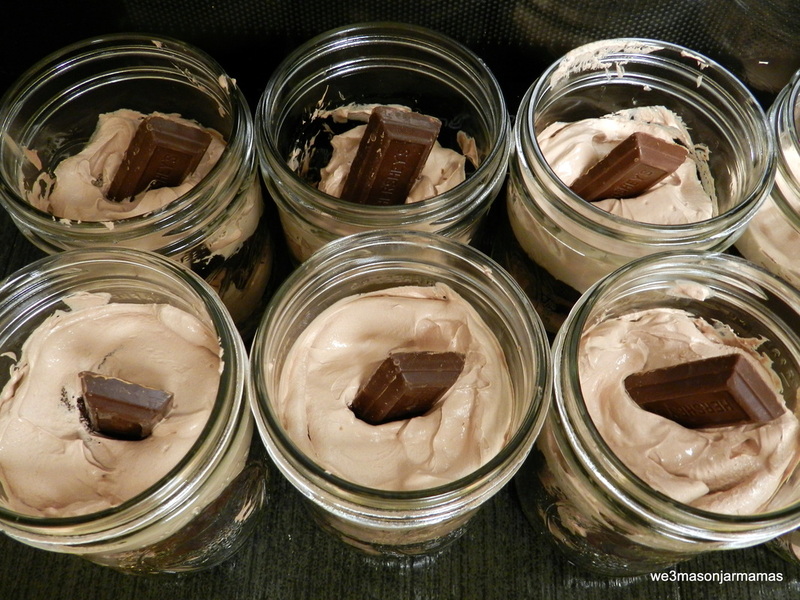 Chocolate cool whip and a Hershey’s miniature on the top. The second one is Coconut Vanilla . It is 2 vanilla cupcakes split into 3 pieces. 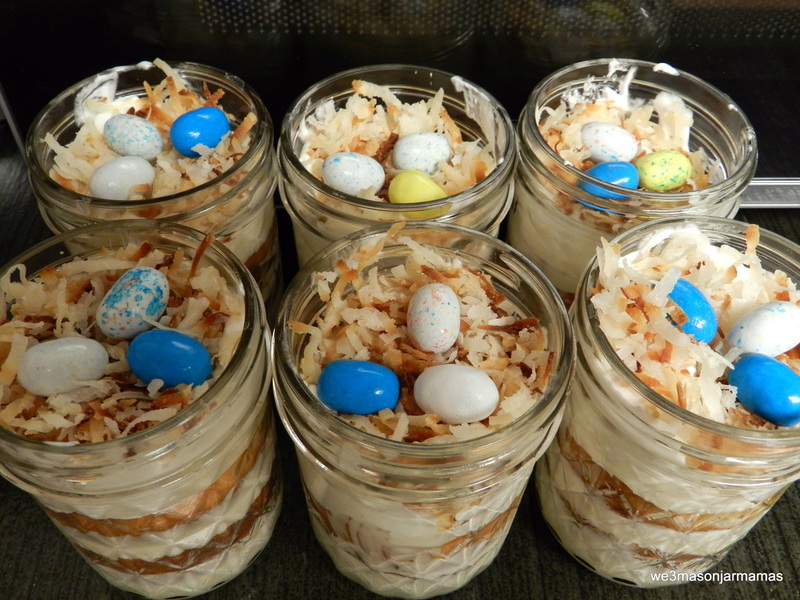 Vanilla cool whip with toasted coconut and some robins eggs..Aren’t they cute!! Enjoy and as my favorite Pastor used to say Christos Anesti!!! Did I Tell you How Much I Love My Spiral Slicer? It’s Another Laptop Lunch Under 400 Calories..